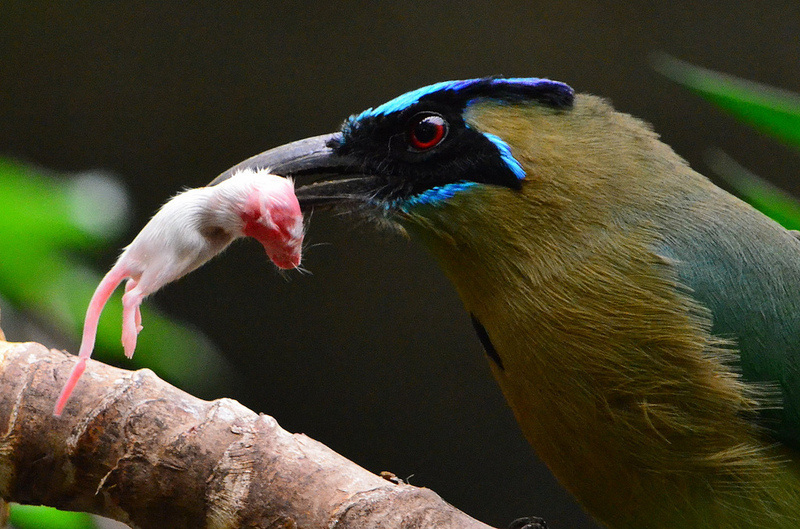 The blue-crowned Motmot has a turquoise crown, red eyes, and a black face. It has a short beak that curves downward and has a serrated edge like a knife. 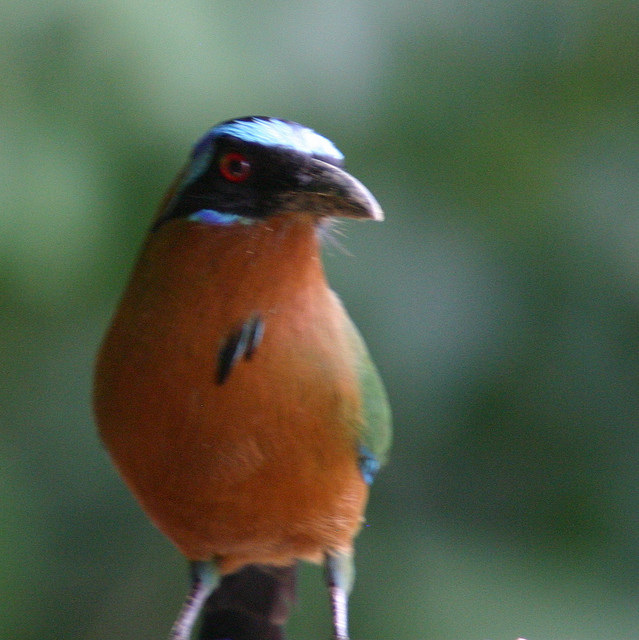 Their center tail feathers have bare spines at the tip and swing like a pendulum when the motmot is perched. Their call is a double hoot, similar to an an owl. They dig their nests in the shape of tunnels. 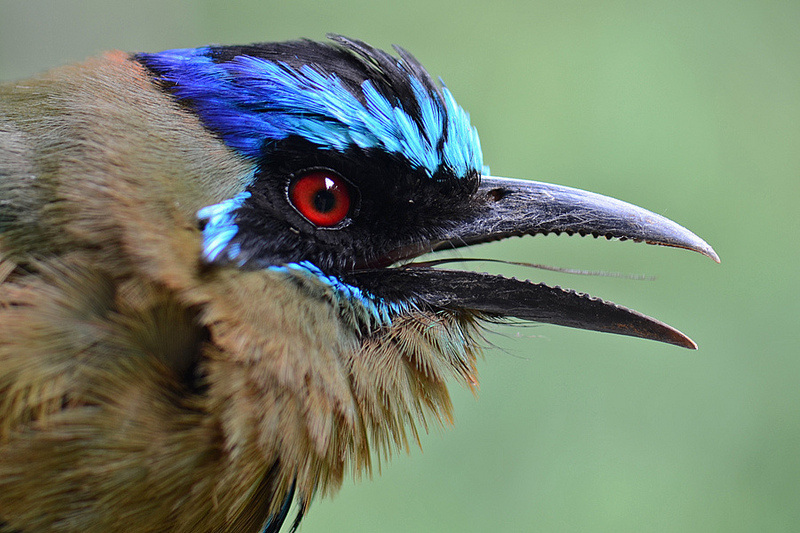 Motmots live near water for drinking and bathing. They eat fruit, small reptiles, and insects. 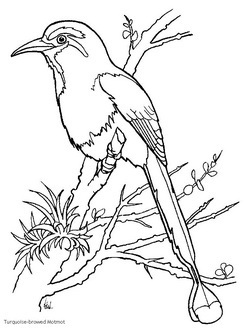 Here's a video on how to draw a bird. 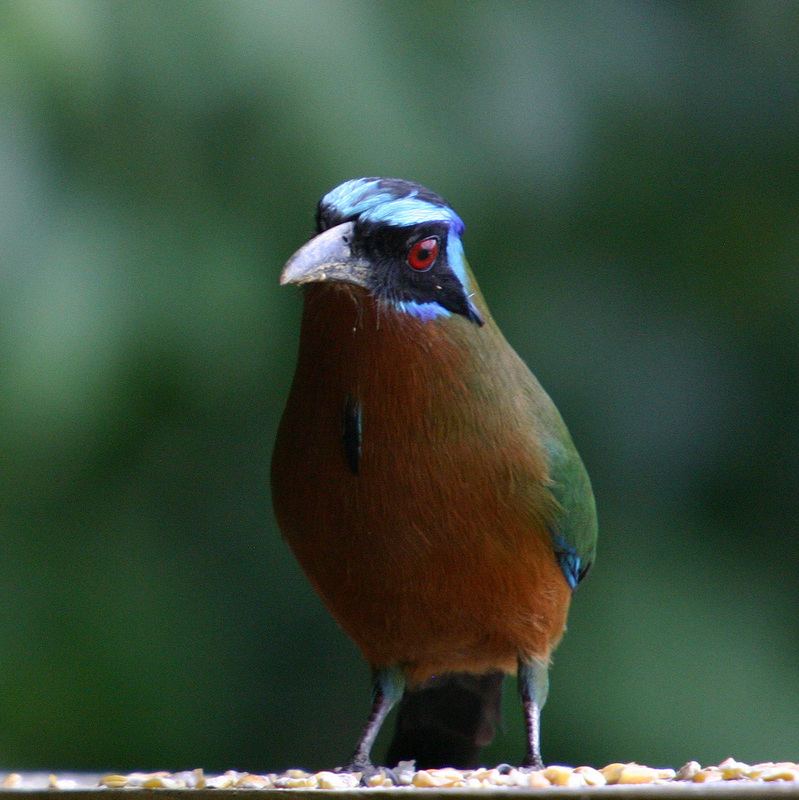 You can adapt it to look more like a Blue Crowned Motmot. Photos used under Creative Commons from jecabello, ggallice, jecabello, Skrewtape, angela n.